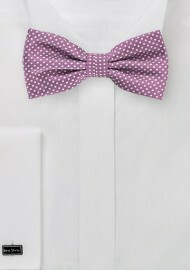 This uniquely textured bow tie in raspberry color features a micro pin dot pattern in silver. It makes for a perfect formal accessory for any gray or charcoal suit. 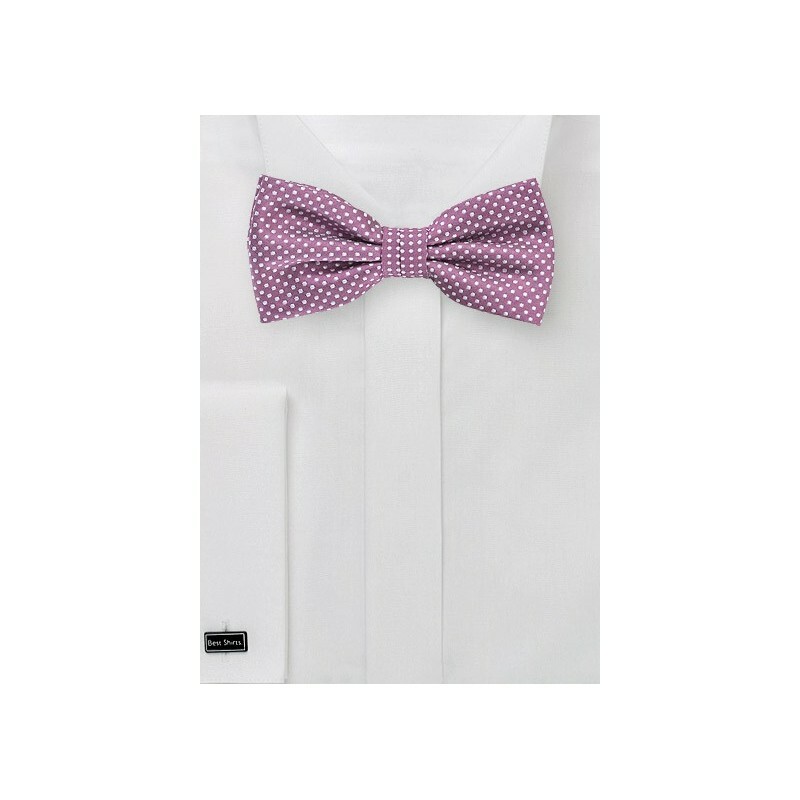 Our tip: Pair this bow tie with a charcoal gray 3-piece suit, classic white dress shirt, and the matching raspberry colored pocket square for some added color and flair. Made from microfiber.